Tote bags now available in the following designs Giraffe(LTDD), Mum and Baby Elephant (AML), Gorilla (JC), Meerkat (UTM), Mum and Baby Monkey (CM), Milo the lion (M), Leopard (S) or the other Lion (LOP). Please send me a message with which design you would like using the code in brackets. These are made to order so please allow 7-10 days delivery. 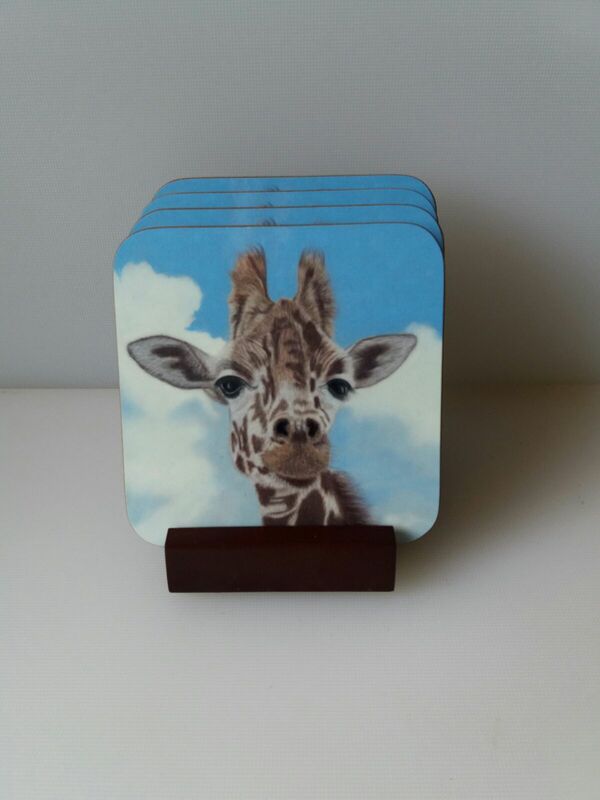 4 coasters of your choice either in one design of 4 different ones.....please choose from the following designs Giraffe(LTDD), Mum and Baby Elephant (AML), Gorilla (JC), Meerkat (UTM), Mum and Baby Monkey (CM), Milo the lion (M), Leopard (S) or the other Lion (LOP). Please send me a message with which design you would like using the code in brackets. These are made to order so please allow 7-10 days delivery. 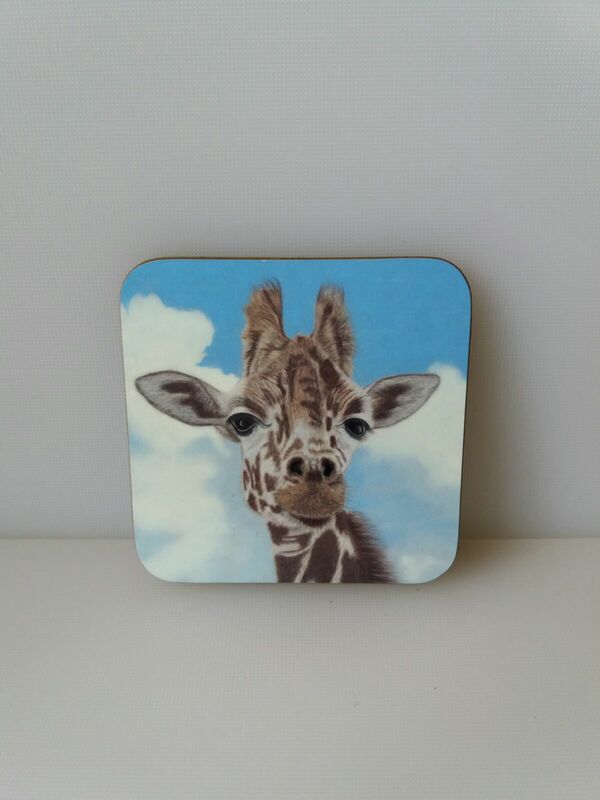 Each coaster is just £2 Please choose from the following designs Giraffe(LTDD), Mum and Baby Elephant (AML), Gorilla (JC), Meerkat (UTM), Mum and Baby Monkey (CM), Milo the lion (M), Leopard (S) or the other Lion (LOP). Please send me a message with which design you would like using the code in brackets. These are made to order so please allow 7-10 days delivery. Order a set of 4 with holder and pay only one P&P. 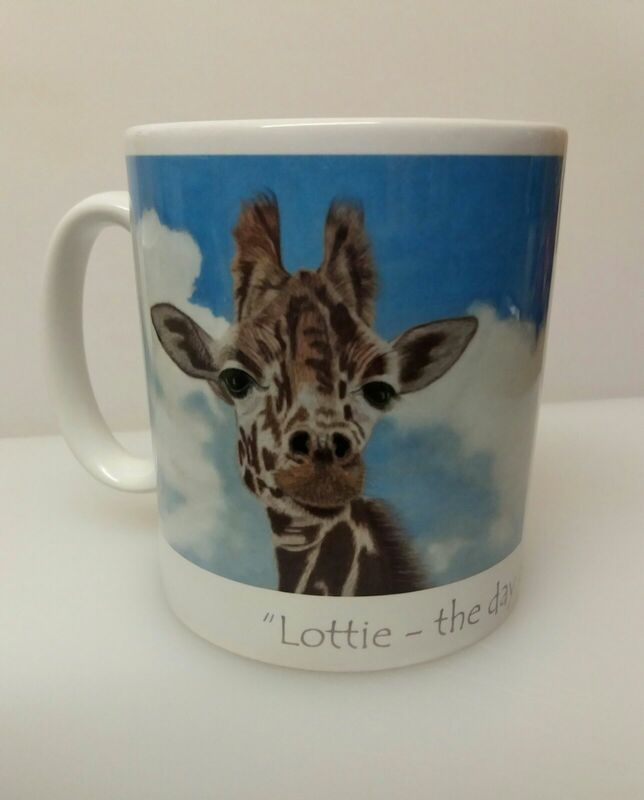 These beautiful mugs can be created with the Giraffe(LTDD), Mum and Baby Elephant (AML), Gorilla (JC), Meerkat (UTM), Mum and Baby Monkey (CM), Milo the lion (M), Leopard (S) or the other Lion (LOP). Please send me a message with which design you would like using the code in brackets. These are made to order so please allow 7-10 days delivery. The mount will be supplied in white to fit your A5 print enabling you to use a standard 8 x 10 inch frame. IF YOU WOULD LIKE YOUR PRINT SUPPLIED WITH A MOUNTBOARD TO ENABLE YOU TO FRAME IT IN A STANDARD 8 X 10 INCH FRAME PLEASE ADD THIS TO YOUR CART WHEN YOU ORDER YOUR A5 LITTLE KINGDOM COLLECTION PRINT. THEY WILL THEN BE DISPATCHED TOGETHER. SPECIAL OFFER ANYONE PURCHASING 4 PRINTS OR MORE IN ONE ORDER, FROM THE LITTLE KINGDOM COLLECTION, WILL BENEFIT FROM GETTING ANOTHER PRINT FREE. ALL YOU NEED TO DO IS PLACE YOUR ORDER FOR YOUR 4 PRINTS OR MORE AND THEN SEND ME AN EMAIL LETTING ME KNOW WHICH ONE YOU WOULD LIKE AS YOUR FREE GIFT. PLEASE ALLOW 7 DAYS FOR YOUR ORDER TO BE DISPATCHED.